Alsa wrote: Hi people can u help me? I emailed doctor pat to quote me the price for rhinoplasty but he only email me this leh! how? nice! if possible by coach coz they got the 3days 2 night package thing going on. 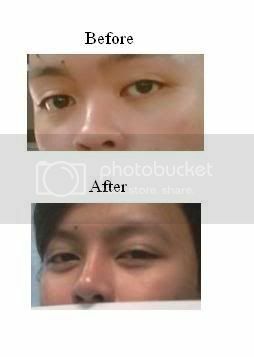 planning to get my double eyelids bigger by nara and rhinoplasty by either Nara or Puttisak, havent decide yet. what about you ? btw... anybody did botox at Dr. Nara's before? my mom is interested. hehe. botox is generally pretty safe right? Allthatjazz your nose look gorgeous! So happy for you! You only did alar with Dr Nara right? Your nose look much more refined now too! 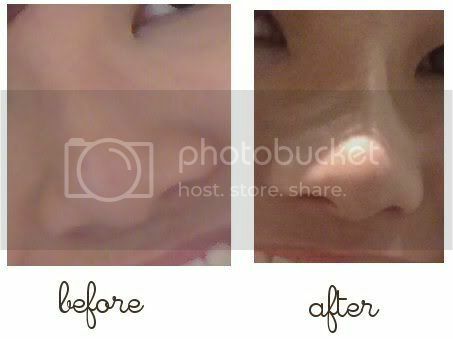 guys, need some comments here..currently my nose bridge is of medium height and i've gt a high and rather sharp nose tip..
i have the intention of increasing the bridge to somewhat rather high..but im skeptical whether it would be protruding and all, any advice? also, i have rather deep set eyes, if i insert the implant in, will the ends of my eyes be stretched towards my nose? im looking at dr pat..can he achieve tt as i heard nara's rather conversative in terms of height and all..i've attached a pic of my desired bridge height..
Dazzlea wrote: Allthatjazz your nose look gorgeous! So happy for you! thanks for your kind words, Dazzlea. I did alarplasty and also nose implant. wanted to do alar only but Dr. Nara said it won't look as nice... so i listened to him. i did tell him i want to look natural though. i had no complaints about my bridge but it's thinner now and more defined. waiting for the tip to look more defined now. hehe. ooh i wanna take this opportunity to thank all those here who've provided useful info and their experiences, esp aadvark. 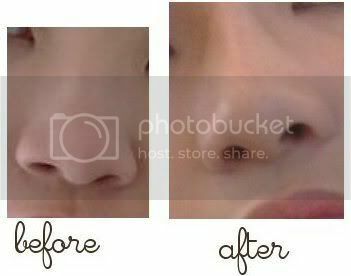 hownowhownow wrote: guys, need some comments here..currently my nose bridge is of medium height and i've gt a high and rather sharp nose tip..
you might want to show us a picture of your nose? from what you described your nose sounds rather nice already! 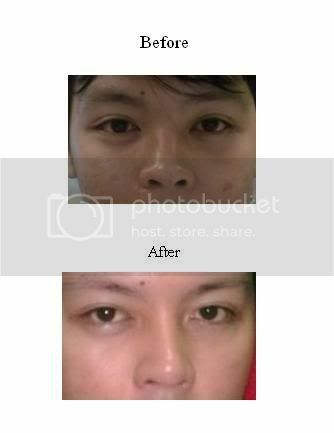 higher nose doesn't necessarily mean you will look nicer, especially if your nose is quite high already..
Have anyone done liposuction on Thighs before? I am still thinking if I should do??? I read on other forum that Liposuction on thighs is very painfull and downtime is longer. Can someone advice? I also email Nara to check on which compression garment I should get... But he never reply? SIGH... Need HELP! oh. yeah. its a long journey by coach and i dont mind taking plane, but no direct flight. dilemma. how come u gonna redo ur rhino? was ur prev rhino done by dr nara too? i've done lipo at my outer thighs at dr nara's.. the pain is acceptable, post op 2-3 days more pain. now i am more than a week after the surgery, its ok. the results is definitely worth the pain! lol. i am contemplating on going back later for my love handles and tummy. but someone commented not to do tummy ya? How do you get to Hat Yai? I'm planning to go to Hat Yai, how do you get there? I can't find a flight. Thanks! Re: How do you get to Hat Yai? no direct flights. got to stop at bangkok and take another flight to hat yai. btw, when are you planning to go ? coz im going also, around december. Btw, when you did thighs lipo did you wear compression garment? got any stitches? Do you have to go back for review and remove stitches? What about bruises?